The Glad Ostensen family in Gjerdrum, Norway. 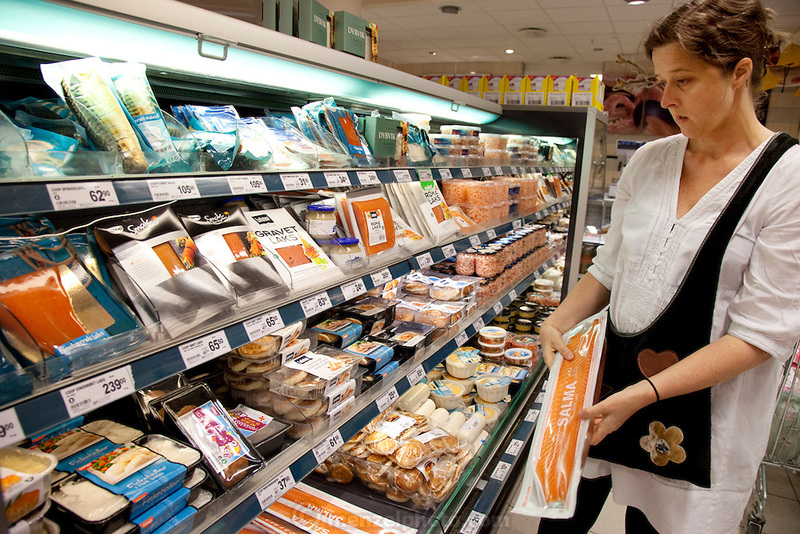 Anne Glad Fredricksen, 45, chooses salmon while shopping for a week's worth of groceries. Model-Released.